Welcome home to this beautiful 4 bedroom, 3 bathroom family home located in picturesque Cinnabar Valley. A half acre yard that is fully fenced and perfect for entertaining and family events make this home impressive from top to bottom. A flat driveway with 2 car garage allows plenty of space for your boat, RV, and multiple vehicles. 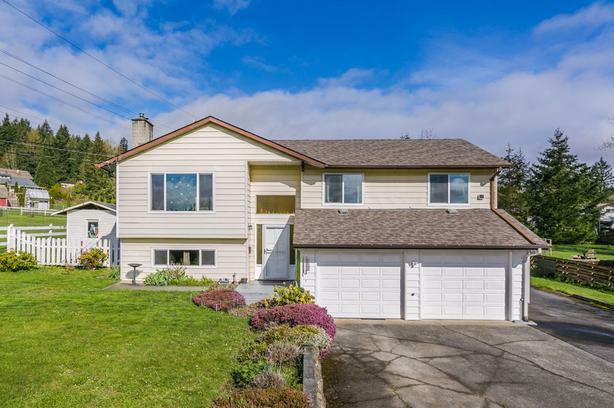 The location is unbeatable, walking distance to Richard's Lake, parks, trails, and a short drive to the Nanaimo River and amenities. It features an open concept floor plan with spacious living room, a natural gas fireplace, laminate flooring throughout the upstairs, and updated, bright kitchen with plenty of cupboard and counter space; new windows, new interior doors upstairs, a second family room, vinyl siding, 150 amp service, and 5 year old roof. The location is unbeatable, walking distance to Richard's Lake, parks, trails, and a short drive to the Nanaimo River and amenities. This quiet family-oriented neighbourhood is waiting for you. Measurements are approximate, please verify if important.